Last night ended up being rougher than I thought. Plumper Cove is reasonably well protected, but lots of waves were still rolling in. And they rolled in all night, even well after the wind died. The Strait of Georgia was a bit rougher, residual waves from yesterday I suppose. 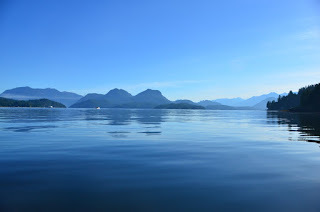 I woke up fairly early and had a quick breakfast, then set off for Pender Harbour. Another sunny day without wind! Unfortunately it was still quite rough for the first six or seven miles. I could maintain 10 knots, but it certainly wasn’t comfortable. Conditions settled down pretty quickly, though, and most of the trip was calm. 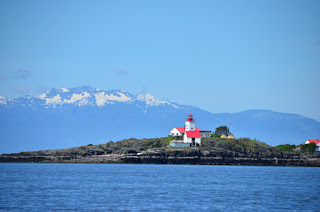 The Merry Island lighthouse, with mountains on Vancouver Island in the background. 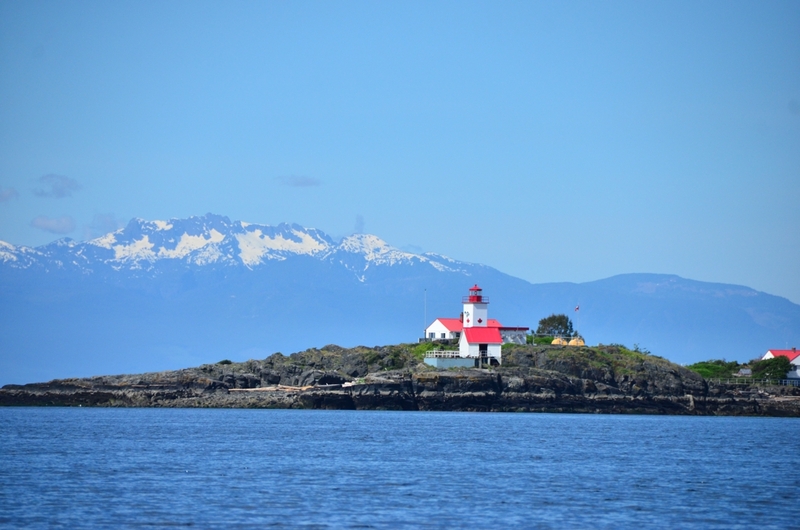 Pender Harbour wasn’t too crowded this early in the season. Most of the marinas were pretty empty, though the Garden Bay anchorage had quite a few boats in for the night. I got the kayak out for the firs time this trip and paddled around Pender Harbour for an hour or so. Tomorrow looks like it’ll be a bit windy, but the wind should be coming from the southeast. With the wind behind me, it shouldn’t be too bad a ride up to Cortes Bay tomorrow.